Proclaiming the House of Representatives is a "mess," Nancy Pelosi accuses Republicans of wanting to purposefully shut down the government. 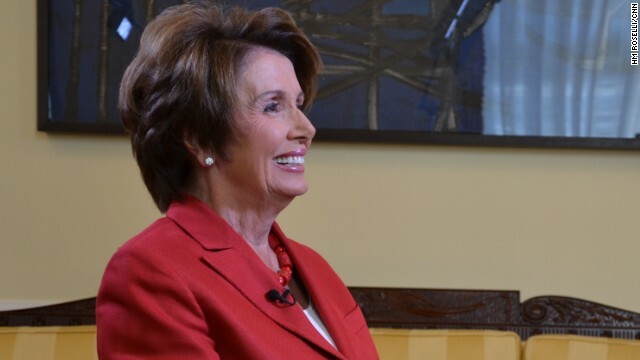 We have an exclusive interview with the House Minority Leader. Clinton-mania sweeps the political world this week as President Bill Clinton's Global Initiative holds its annual meeting and New York Magazine publishes the first interview with Hillary Clinton since leaving her job at the State Department. Joe Hagan, the author of that article, joins us live. GOP Intra-party tension, Clintons, and olive branches from Iran. We'll talk about that and more with Joe Lockhart, former chief spokesman and senior adviser to President Bill Clinton, President of the American Conservative Union Al Cardenas, and CNN Commentators Kevin Madden and Donna Brazile. Watch Sunday at 9am and Noon Eastern.